Rear-End Collisions: Who's at Fault? Do I Have a Case? Despite drivers’ best efforts, rear end collisions happen every day. There can be many causes of rear end collisions. Common causes include inattention, distracted driving, texting, and bad weather. To prevail in a rear end collision case, a plaintiff must typically show the other driver was negligent or acted unreasonably given the circumstances. To show negligence, a plaintiff typically has to prove four elements: (1) the defendant owed the victim a duty of care; (2) the defendant breached that duty of care by acting negligently; (3) the defendant’s behavior caused the injury; and (4) the plaintiff suffered damages. The driver of the car that rear-ends the car in front is almost always liable, or at fault. However, there are exceptions. For example, a driver who suddenly changes lanes without using a turning signal may be at fault even though that driver was in front. Other examples include when a driver makes an illegal U-turn or suddenly brakes for no reason. Each case is unique and depends on the specific facts involved. Furthermore, rear end accidents are on the increase due to distracted driving. According to the National Highway Traffic Safety Association (NHTSA) distracted driving claimed 3,450 lives in 2016 alone. In attention due to cell phone usage and especially texting significantly interferes with reaction time and can cause a rear end collision. In some cases, both drivers are partially at fault. Different states maintain different laws when multiple actors combine for a single accident. In a contributory negligence jurisdiction, a party cannot recover if it was at fault, regardless of the degree of fault. In a pure comparative negligence jurisdiction, a party can collect damages even if they were 99% at fault, but the amount of damages is limited by the party’s degree of fault. Finally, in a modified comparative negligence jurisdiction, a party can pursue damages so long as they were not more than 50% at fault. New Jersey is a modified comparative negligence jurisdiction. Thus, more than 50% at fault then no recovery, but 50% or less at fault then there is a recovery. 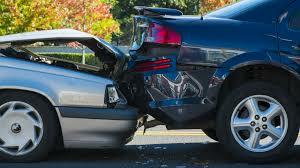 If you are involved in a rear end collision, you should collect and preserve evidence. For example, consider taking notes on anything you remember about the accident while it is fresh in your mind. In addition, take pictures and preserve physical evidence. Be sure to get phone numbers or contact information of any witnesses. Finally, keep tabs on any money you spend as a result of the collision, as this may form part of your personal injury claim. If liability is shown, a plaintiff may be able to recover damages, such as compensatory and punitive damages. Compensatory damages include economic and non-economic losses. Examples of economic damages are medical bills, lost wages, and car damages. Non-economic damages include pain and suffering, permanent disability, trauma, and mental distress. Punitive damages, on the other hand, are intended to punish and deter future similar conduct. Punitive damages are only available in limited cases of reckless or intentional conduct on the part of the wrongdoer. Our personal injury attorneys know how to pursue all types of damages to which you may be entitled. Many states have laws that place a cap or limit on the amount of damages a plaintiff can recover in a personal injury lawsuit. The majority of states do not place a cap on economic damages, as these are considered out of pocket damages. However, many states do have a cap on the amount of non-economic damages a judge or jury may award. A lawsuit typically starts off with filing a document known as a complaint, in which the plaintiff alleges the defendant’s behavior caused the plaintiff’s injuries. The next phase is known as discovery, when both sides collect evidence, such as depositions and written questions and answers, known as interrogatories. However, filing a lawsuit does not necessarily mean going to trial. Many cases end in alternative dispute resolution, such as a settlement. One thing to consider throughout the legal process is a doctrine known as the statute of limitations. The statute of limitations is a strict deadline on when a party must file a lawsuit. In a personal injury case, the statute of limitations typically begins “running” from the day the injury occurred or when the plaintiff should have discovered he or she were injured. States maintain different statutes of limitations, with many as short as one year or as long as six years. It is always a good idea to consult with an attorney as soon as possible after you are involved in a rear-end collision. If you were involved in a rear-end collision, our New Jersey personal injury attorneys at Scura, Wigfield, Heyer, Stevens & Cammarota can help. Please contact us for a free consultation.